Surely at one time or another you may have picked a conference brochure that would have put you off, no thanks to its boring and trivial design. In today’s world, conferences take place frequently and the organizers work hard to market and promote the event extensively so to get maximum footfalls. While online marketing has picked up as the preferred choice, still nobody seems to be in a hurry to give up on the good ol’ conference brochures. 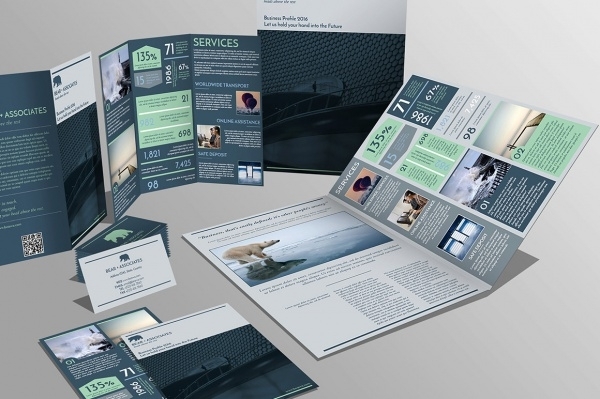 Whether it is offline or online, business brochures marketing continues to rule the roost. In this edition we share with you some amazing conference brochure templates which are ready to use! This 11”x8.5” high-resolution template design, with its customizable features, will let you create a brochure design which is perfect for all kinds of conferences and great tool for corporate branding. 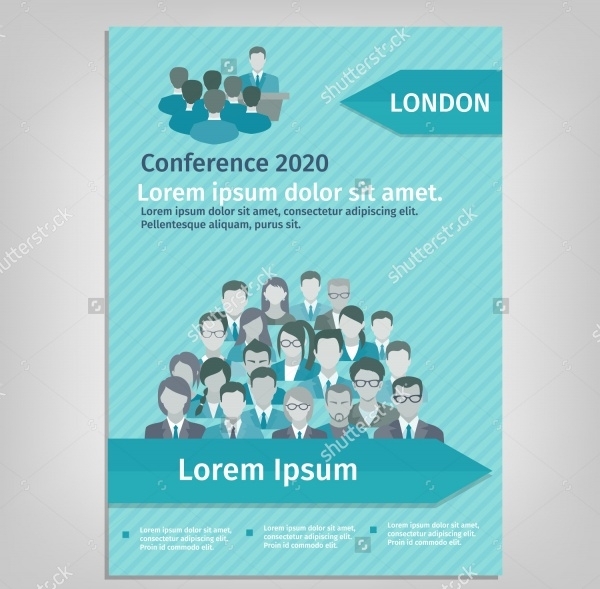 The interesting conference leaflet design vector could be used by businesses that are hosting a conference for their teams. 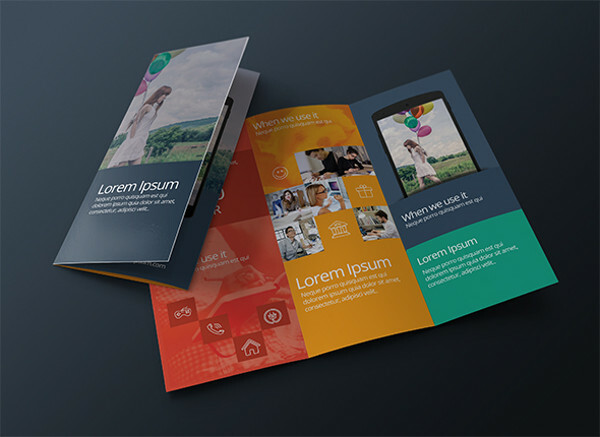 You can easily add and edit contents in this high-res brochure design. This is a conference directory template. It can be useful for big companies that want to circulate an all-year directory list of conferences they’d be organizing throughout the year in different locations. 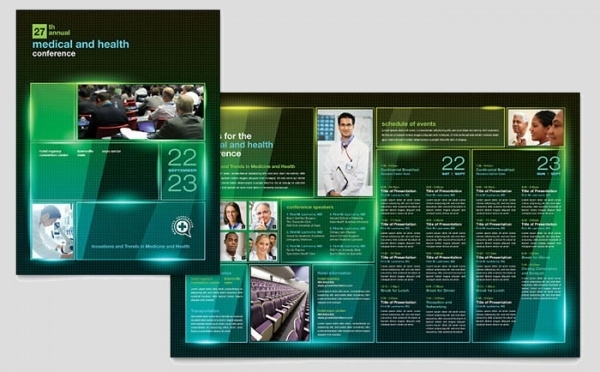 Make an instant impression on the medicos by giving them a brochure as compelling and informative as this one. Equipped with editable features, you can easily customize this template with desired text and images. 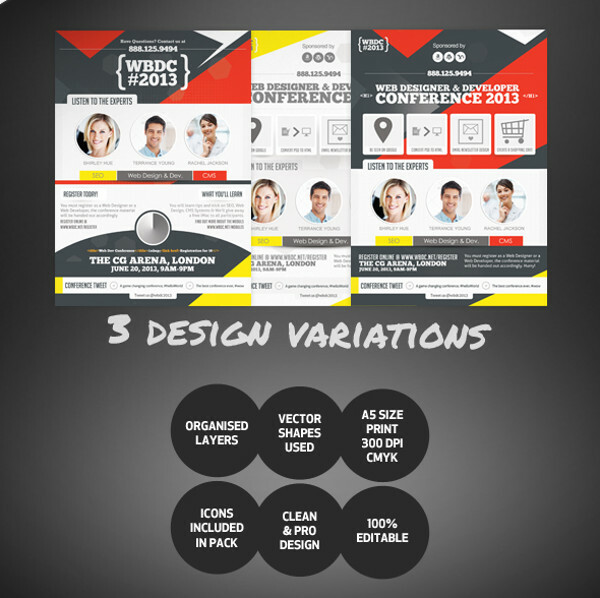 Publicize your conference event on this brochure template. The color scheme of red, black and white creates a strong impact in terms of design. Pairing it with the right kind of content will give it a fuller look and yielding great turnout at the event. 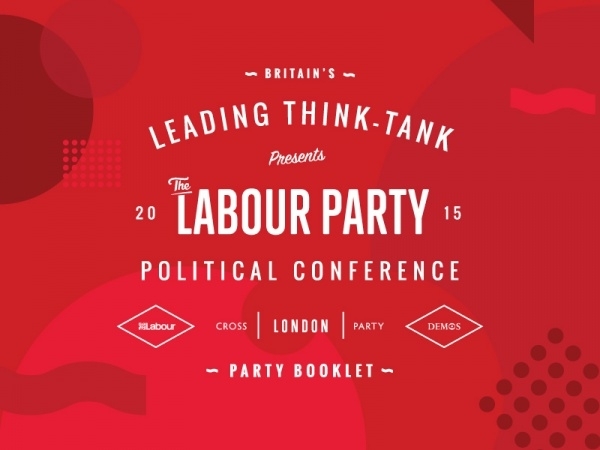 If a political conference is in the works, then you’re going to need a brochure of such caliber to promote it. 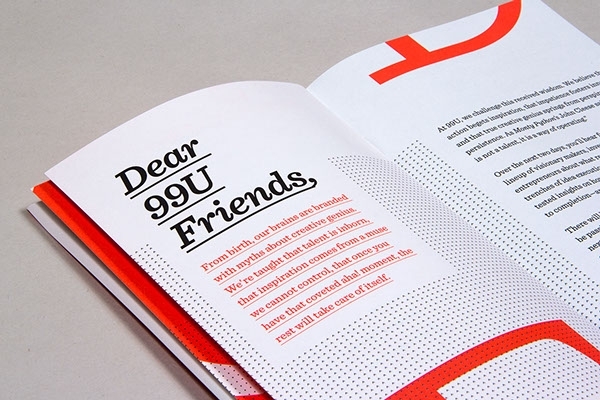 The bright red-white contrasting colors on the cover are the USP here. You could use this template to design conference flyers too! Colleges and universities have student union organizations that do numerous things for students. 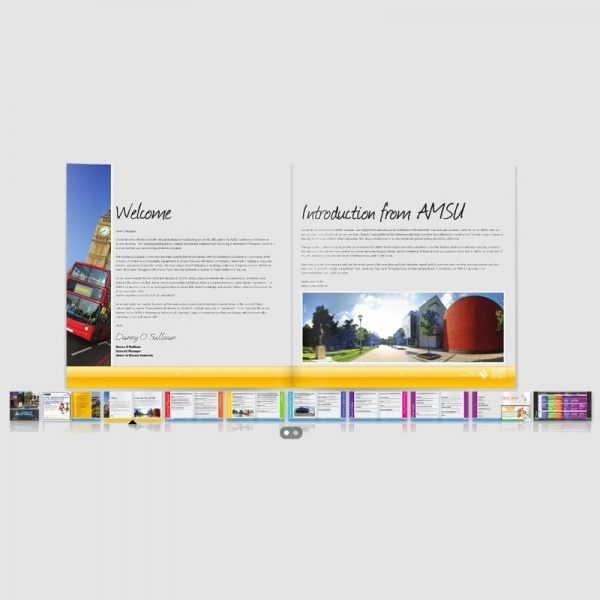 This high quality high-resolution brochure template is more than just suitable to give representation for any kind of student body in an educational institution. 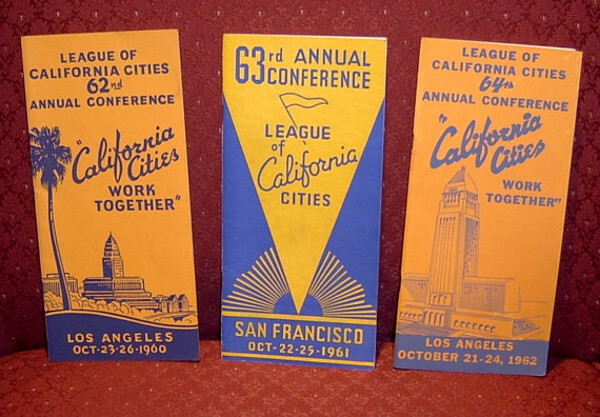 Pick this bi-fold brochure avatar to market your conference event at other real estate events. Thanks to the editable set of features, you will be easily able to produce a user-friendly, content rich real estate conference brochure. 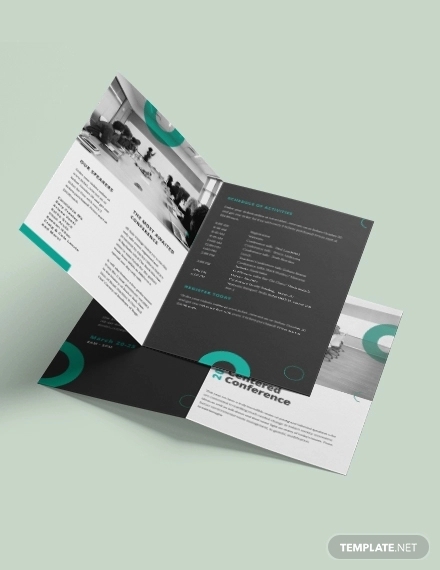 This template is replete with all of the elements to get used to make a great-looking conference brochure for all kinds of businesses. The standards of this template are high, and it comes with a ready stock of images, artwork, logo designs, backgrounds, etc. 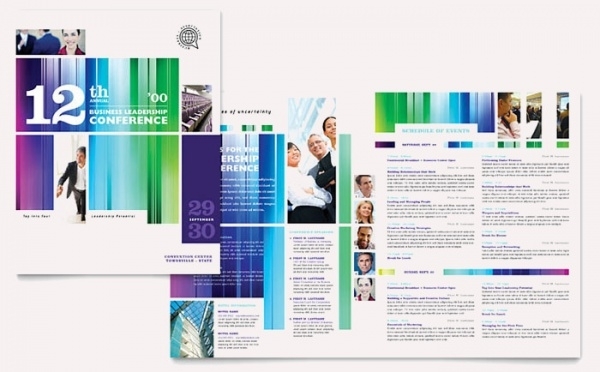 Set a different trend by choosing this innovative conference brochure design template for your big event. 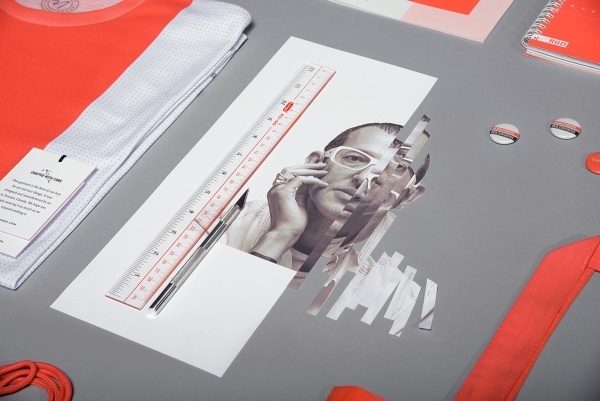 This template is quite literally the full package – graphics, artwork, typography etc – it’s all in there. 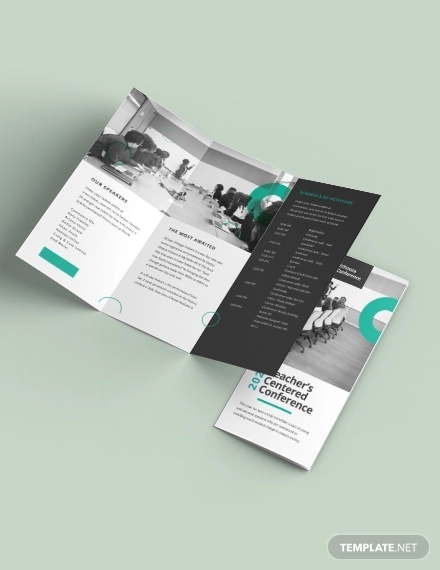 With this brochure design you’d be able to do corporate branding of your company unlike any other! Corporate conferences are a huge deal to accomplish. Taking the inexpensive route, organizers rely heavily on brochure marketing to do the trick for them, and the ploy works in a big way. The aforementioned brochure ideas not only guarantee great attendance from visitors, they also play a big role in accomplishing company branding responsibilities.